Oro was Lifehack’s first intensive place-based programme. The programme built on existing relationships Lifehack had in Upper Hutt and was co-designed with local stakeholders. In trialling this new place-based approach we wanted to apply learnings from previous programmes about how to foster and create opportunities for sustained collaboration between different in influencers in the community, how to build connections and relationships that would provide access to latent resources and how to build capability and motivation for youth-centred and youth-led local wellbeing initiatives. 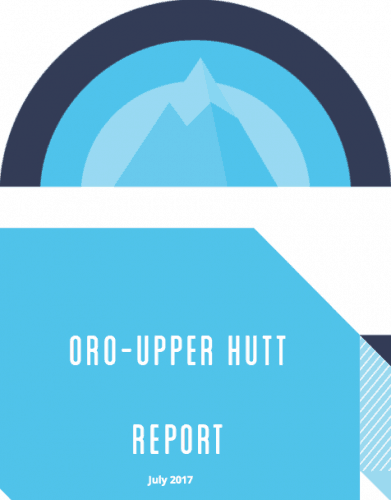 We also wanted to create an intergenerational environment and a process that would support the community to identify and respond to their own specific needs and amplify and build on the existing resources, relationships and strengths already present within Upper Hutt. This report provides an outline of the intent of the programme, some of our learnings about the programme, how the programme impacted on participants and some of the longer term ripple effects we have been able to track.